Completed the documentation of ASCH v1.5 and developed three smart contract demos. Completed a simple version of market making tool development for AschEx. AschPay 1.0 and AschWeb 0.2 testnet will be ready in a week. Optimized the smart contract engine and test case writing. In process of CCTime refactoring based on smart contract platform (50% completed). Completed developing Pixel DApp demo using smart contract. Completed developing Q&A DApp demo using smart contract. Completed developing Crowdfunding DApp demo using smart contract. Completed documentation for AschWeb 0.2. Completed a simple version of market making tool development and testing. 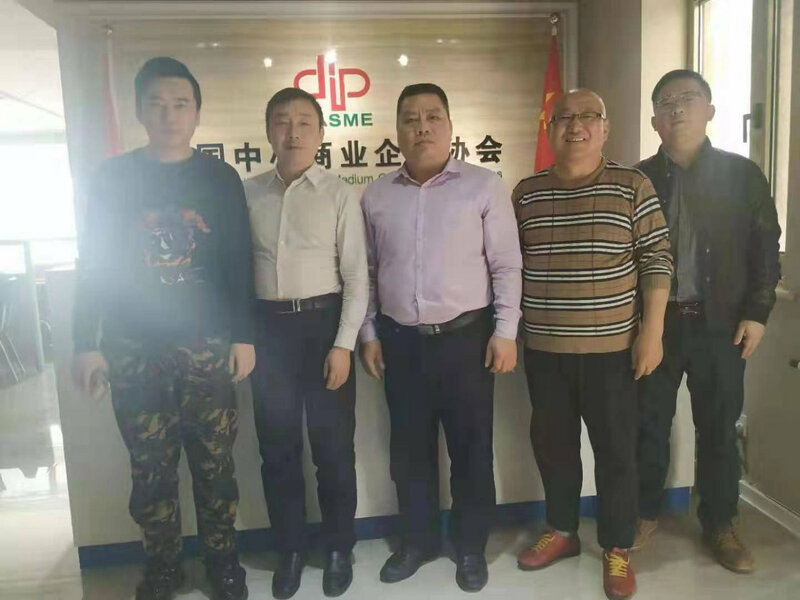 On March 4, 2019, Mr. Yin, Director of Operations of ASCH visited the agricultural branch of China Association for Small & Medium Commercial Enterprises. 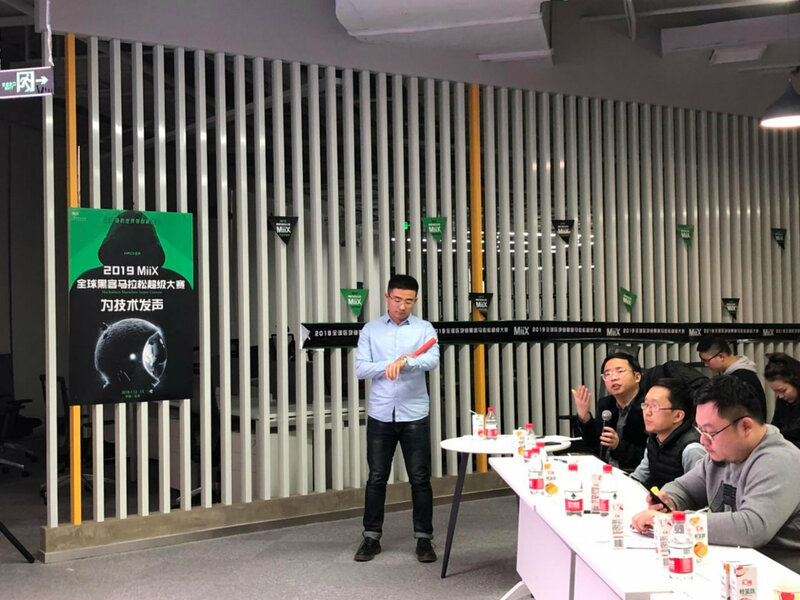 The meeting confirmed that ASCH will be promoted as the first priority blockchain service provider of the agricultural branch, and provide blockchain services for member enterprises. The association is under the supervision of the State-owned Assets Supervision and Administration Commission of the State Council. 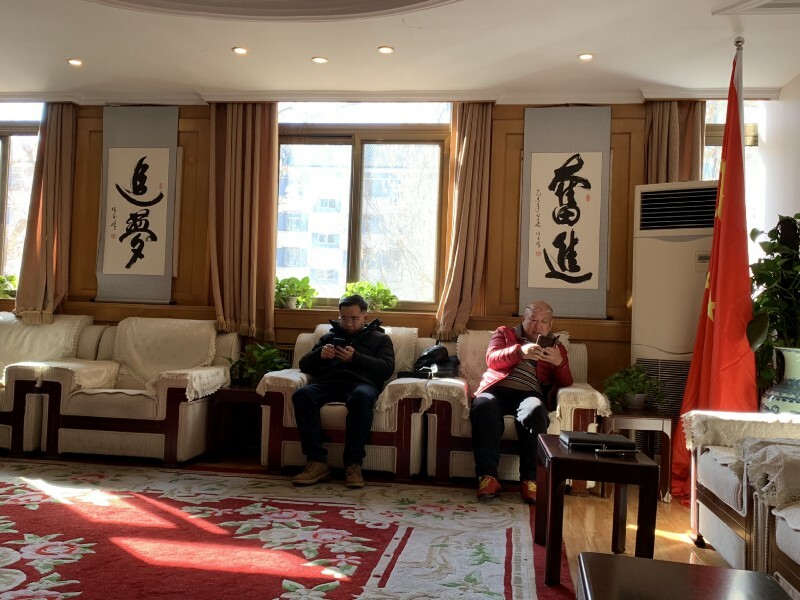 On March 7, 2019, Mr. Yin and Dr. Jiang, the office director of Beijing National Technology Transfer Center, visited China’s food safety office and meet the Secretary General Ms. Yang. The meeting is to introduce ASCH’s cutting-edge blockchain technology and discuss how ASCH can help to improve food safety by using blockchain. Completed the first round of ASCH v1.5.0 external network testing and enter the continuous optimization and stability testing stage. The AschEx mvp project is completed, and the verification of product and technology prototype is completed for decentralized exchange. 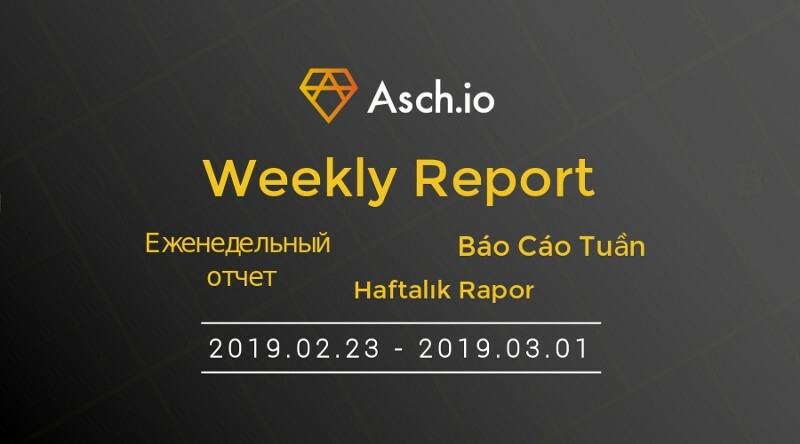 Completed the work of integration of AschPay with AschWeb. Completed 80% of AschWeb documentation. Completed the development of server. Completed front-end code development work (50%). Completed the design of the new version. 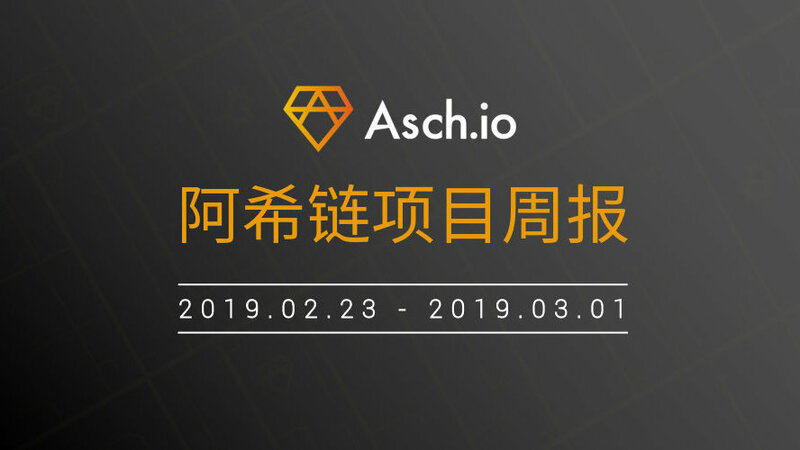 In order to attract more developers to participate in the development of ASCH, the ASCH Developer Community Incentive Plan is launched, and the ASCH council will allocate 1 million XAS for this plan. We hope that the blockchain technology enthusiasts can actively participate in this plan or introduce good developers to join. After many meetings and discussions, we made some major modifications and changes to the 101 delegate plan. 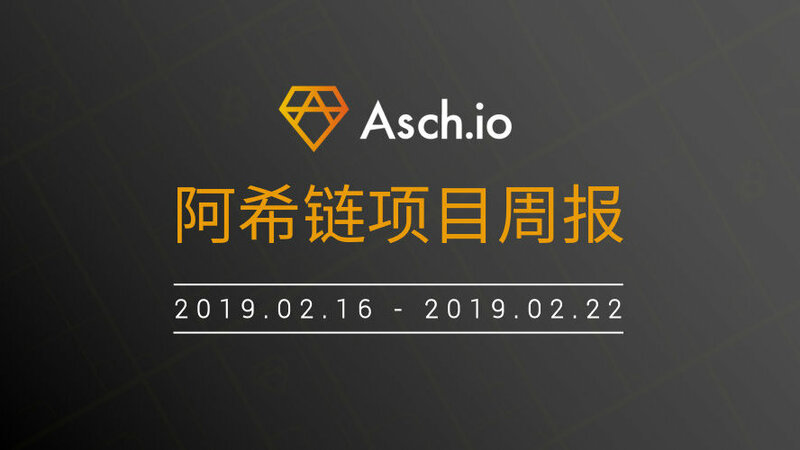 The main purpose is to accelerate the development of ASCH by releasing some nodes and attracting high-quality partners. Stay tuned for the draft, it will be published in the community very soon. The test-net v1.5.0 has been officially launched. The development of AschEx server is basically completed. Completed the launch of the test-net v1.5.0. Completed the first upgrade (bug fix) of the test-net v1.5.0. Completed one smart contract sample (3/3). Completed the refactor of AschPay and the integration with AschWeb. Implemented the influx and outflux modules of on-chain transactions. The development on the server side is basically completed (95%). Released the update log of the Testnet v1.5.0, and gathered the first batch of developers to do the first round testing and collected feedback on test results. 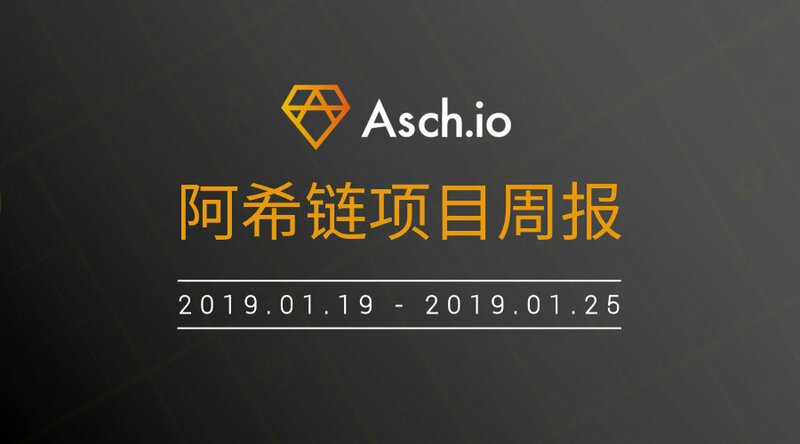 As a technology-based public chain, the construction of technical ecology is one of the important tasks of ASCH’s development this year. The draft of the technical ecological development plan for the first half of the year has been completed, including the development of the developer community, DApp incentives plan, and the recruitment of development contributors. The corresponding regulations will be released to the community in March. Completed the development of Chrome extension AschPay, two weeks ahead of schedule. The overall progress of Asch v1.5 is slow, which is expected to be delayed for a few days. AschEX is going smoothly and meets expectations. Completed the first round of the front-end testing for v1.5 and it’s about to conduct the second round of integration testing. Completed the implementation of smart contract supporting cryptography-related built-in functions: hash, sign/verify, encrypt/decrypt. Implemented the function of smart contract supporting the use of ArrayBuffer to manipulate the underlying data. Completed the performance optimization design of smart contract status tracking. Completed the optimization of tracking the changes of simple type status, simple type status within the mapping, and custom type status. Completed the first round of integration testing by 80%. Completed the acceptance of the first round of test. Completed the implementation of the matching engine by 80%. Completed the adjustment and optimization of the exchange frame. Completed the development scheme design of the K-line diagram. Completed the design of basic data structure related to transactions. From Jan.12 to 13, 2019, the Global Developers Super Competition — “Building Technology Ecosystem and Embracing the Future” was held by MiiX. William Yin, operations director of ASCH, was invited to attend the event as a judge. Later ASCH will work closely with MiiX in the field of the blockchain technology ecosystem. 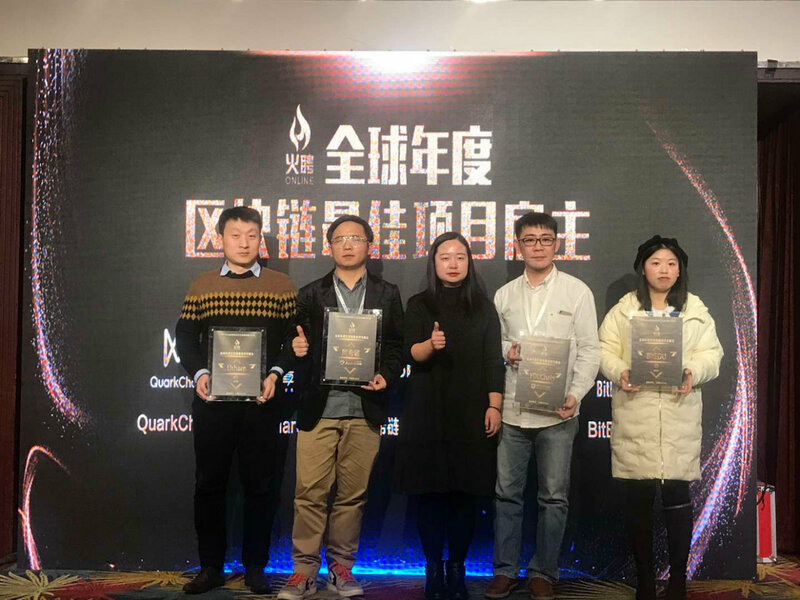 ASCH won the “2018 Best Employer” award of Huopin.io. 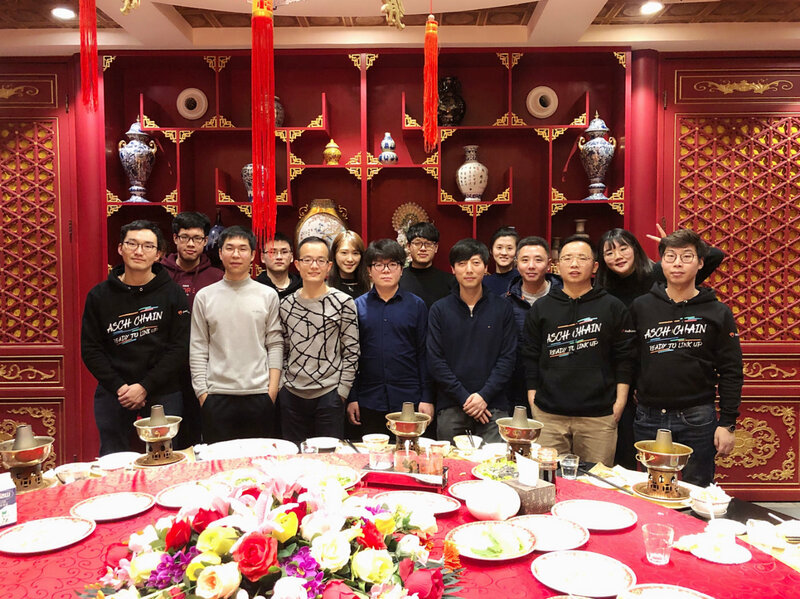 William Yin, operations director of ASCH, was invited to attend the dinner party. 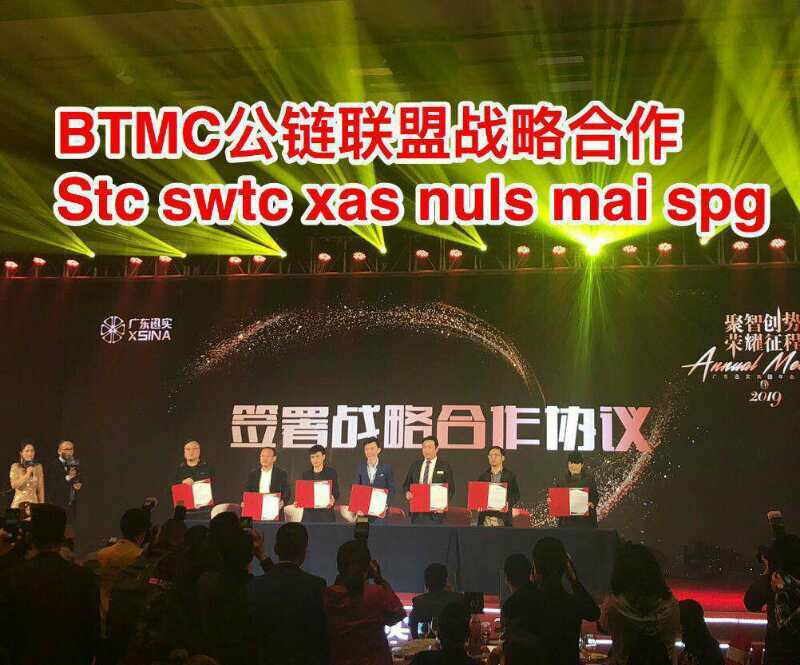 On Jan.16, 2019, ASCH was invited to attend the annual meeting of Guangdong XSINA Group, and has established a public chain alliance with STC, SWTC, NULS, MAI and SPG . In the future, alliance members will explore in depth the possible cooperation opportunities in cross-chain technology and commercial aspects.